Bitwig Studio has become a favorite DAW of many producers that are looking for in-depth, complex control of their sounds through a host of modulators, phase and time-stretching tools, and detailed spectrum analysis. 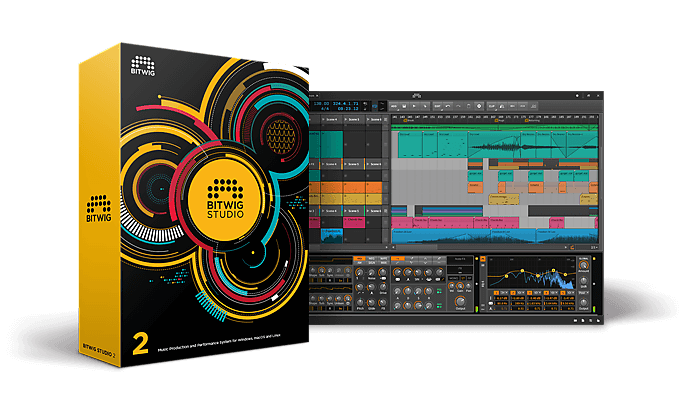 This week, the company has released its latest update, Bitwig Studio 2.4, which features a "reborn" sampler that now comes equipped with granular and wavetable play modes. The granular mode lets you to stretch a brief moment of sound into much longer moments, changing the texture and timbre of the sound while preserving the original pitch, while the wavetable technique lets you quickly change the formants of your audio. In addition to these new modes, the multisample editor makes it easier than ever to choose start and end points for your loops, match modulators to different samples, and blend multiple sampled passages and tones. But in a particularly thrilling addition to us here at Reverb, Studio 2.4 also includes samples from our very own Claude Young-created sample pack: Detroit Sound Science, Vol. 1 - Cinematic Synth Sounds. Bitwig Studio users can now easily load and manipulate samples created directly by the Detroit techno legend. You can read an interview on Bitwig's website about how Claude approached crafting his sounds and how he uses the DAW. And you can learn more about the update itself here. The update is free to existing owners of Studio 2.3. If you're not already a Bitwig Studio user, you can buy Bitwig Studio 2.4 through Reverb now. See all of the different options below.